What are your chances of getting a part-time or flexible job? Take this quick quiz and find out. When Jack was born we moved to Cramlington and my mum started an employed role as a carer and was no longer able to help as much with childcare. Steve and I were barely earning above minimum wage and we definitely could not afford childcare for three children along with all of our other bills. We really didn't know what to do. If you are in a similar situation, please take this short quiz which will provide you with feedback on how easy/difficult it will be for you to find a part time job or switch to part time hours as well as provide helpful advice on what to do to improve your chances. I was lucky and I was able to find a job that allowed me to work 2 x 12 hour shifts over the weekend and stay at home with my three children Monday-Friday. Steve and his parents would look after Harry, Heidi and Jack over the weekend and although it worked well, I did start to feel like I was missing out on a lot. Imagine spending just 5 weekends a year with your family - it's horrible and not something I wanted to continue. 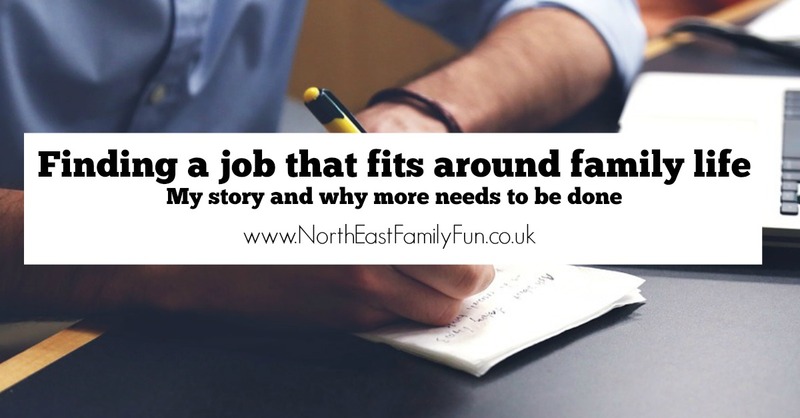 I didn't feel like I had a choice though as I couldn't find a single job that allowed me to work 9am-11am when Jack was at nursery or fit flexibly around Steve's 2 weekly shift pattern. It turns out I'm not alone and according to Hire Me My Way, there are 400,000 unemployed people who are unable to accept a job unless they can work part time/flexibly. It's really tough when you have kids and commitments. As I was at home Monday-Friday, I was able to start building up my blog and start turning it into a business. 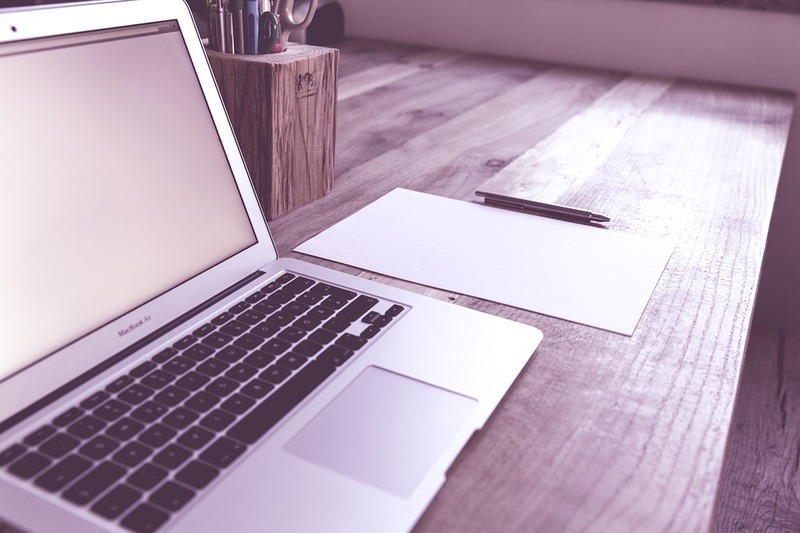 I learned more about the earning potential of blogging and it seemed like the perfect solution - with three children at home, perhaps working towards being fully self-employed and working at home would be the answer for us. After a bit of research and a pep-talk from my friends, I decided to formally ask my employer if I could work flexibly and reduce my hours. They agreed and over a period of around 16 months, I gradually reduced my working hours until I was only working 8 hours on a Sunday. Again, I was very lucky that my employer agreed to reduced part time & flexible hours. I often wonder what would have happened if they'd have turned my application down. My blog certainly wouldn't be where it is today that's for sure and I could still be working 2 x 12 hour shifts with no quality family time and feeling pretty trapped. The Hire Me My Way campaign really strikes a chord with me. If I hadn't have been able to start a career as a self-employed blogger, I would have been trapped working hours that weren't at all family friendly with no way out. 1.5 million people are trapped in part-time jobs below their skill level because it's just so difficult to find a new job that allows flexible working from the outset. I don't think I've ever come across a job advertisement that states a job can be flexible around you - it's always the other way around. In fact a lot of jobs these days state you must be available to work any hour of any day. Hire Me My Way are calling on employers to listen to people's needs and open up to part-time working and flexibility, right from day one of hire. I honestly believe that employers who do this will benefit in the long run as a happy workplace is definitely a productive workplace. I think it's important to mention that the need for flexible and part-time working isn't exclusive to females and mothers. In a few years time, Steve would love to decrease his hours in order to fulfil some of his non-career goals and for us to travel more. I know it's going to be tough for him to do this and when the time comes, we'll definitely be using the advice and support provided by Hire Me My Way. It did all work out for me in the end and every day I am thankful that I've been able to create a successful career for myself working from home. I can't ever imagine not having the flexibility that being self-employed provides. Self-employment does have it's own challenges though, and it's certainly not for everyone. If you'd like to learn more about Hire Me My Way and how you can add your voice to their campaign, you can sign up and learn more here. Before you go, don't forget to take this quick quiz and discover your chances of finding new part-time work. A great read! I left my full time job after maternity leave and now run my own business. It means I can spend time at home with my children, but it involves a lot of weekend working so we do miss out on time as a family. I feel this so much, I work 9-5, 4 days a week and Paul is full time, and due to not having family close by we pay for childcare (which is more than our rent!) and its crippling. We are literally wishing her life away until she's 3 and gets some free hours. I wish we could work more flexibly but it is so hard. Love Hire Me My Way. Great and necessary campaign. The lack of flexible positions is why I want to be self employed too. Laughing that you used the same pixabay image for your pinable image as I used for my featured image - great minds eh! Personally I think more should be done to recognise and value the caring roles that parents undertake in the home. If I was able to pass my personal allowance on to my husband we would be much better off. I am a stay at home mum, money is tight on just the one income but we feel that it is pointless me working to pay a stranger to look after our kids. I don't think pressure should be put on women to work just to increase revenue for the government, a lot of my friends in this situation are burnt out because, lets face it, women still do the majority of the domestic tasks in the home. I think we need a shift away from pushing women with young kids into work towards valuing the role of motherhood. It's tricky! I work 19 hours over 3 days (1 full day, 2 part days) in admin role and fits pretty well with the kids. One night they do to the after school club (which i pay for) and the rest of the nights I am home to do the pick ups. I am bored in my role as i've been in it for 12 years but feel stuck and wonder where i would get the same decent salary in those sort of hours. I would have to go full time...and I wouldn't want to put that pressure on my family life! If there is flexibility for everyone then (say) one group like Mums are less likely to be discriminated against. There really should be more flexibility in all jobs and they would all have happier work places if people could fit in hours to suit their needs more. Great article! I became self employed to work around living with a chronic illness. I could no longer do the 'normal' 9-5 and need the flexibility to allow me to concentrate on my health. This is such a great read! I'm proud of you for all that you have achieved as you have obviously put in a lot of hard work on your journey. With two children under school age I have found it very difficult to find a job that can be flexible. I was offered a full time teaching job but decided I didn't want both boys in full time nursery so I could end up with about £200 a month from my (really quite good) teacher's salary. It is something that needs to be considered more by employers. I was working part time, but in a job I hated so I went for my current role knowing it would be more hours and less time with the children, but I enjoy my job now so the time I get with them is much happier and they have a less stressed Mummy. It's a real bug bear of mine that there aren't enough job opportunities out there for parents. With four children we have had to try to find a job which enables me to stay at home - and that's where my blog comes in! Great post though and so important too. It's so difficult. I had 2 children in quick succession and could not afford the nursery fees for them. So I ended up staying at home for the first few years of their lives. Whilst I loved my time with them and feel it was extremely valuable to them also, I really missed having adult conversations and time to be me. I would have loved to stay on a few hours a week but it wasn't to be. It also made it really difficult when I decided to return to work 7 years later. Employers couldn't understand why I'd not worked as most mother's do these days. Luckily I got a job in civil service who I must say have been absolutely fantastic. I work term time and also have a lot of flexibility with my actual working time. I've not missed a school nativity or play since I've been there. It's not the greatest job on earth but I actually respect them a lot more because they are so flexible with my work life balance. If only all employers realised how much they'd get back from their staff if they gave the same flexibility!